Blogger vs WordPress - Where Should You Start a Blog? Most people have thought about how to start a blog at one point or another, and that probably includes you. However, diving into the world of blogging can be confusing, particularly because everyone will try to recommend a different platform. Out of all the options available, two long-time favorites are WordPress and Blogger. However, which of them should you use? Then we’ll wrap things up by discussing the advantages of using each as the foundation for your site. Let’s get this match started! When it comes to blogging, WordPress and Blogger are two of the most popular names in the field. 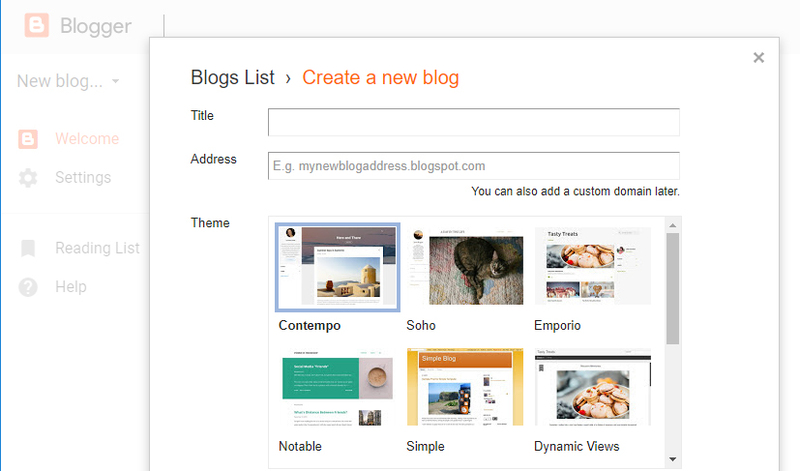 Blogger is a platform owned by Google, which understandably gives it some weight, whereas WordPress commands the largest market share among Content Management Systems (CMSs) by far. Throughout the next few sections, we’re going to dig deep into what makes both these platforms unique. For now, though, let’s talk a bit about each of them, so you have an idea of what to expect. There’s the WordPress.com platform, which is a hosted service that enables you to set up free blogs and access premium plans with additional features. When you hear people talk about WordPress, they’re usually referring to the self-hosted version. You can install that platform for free, although you will need a web host and a domain to get your site up and running. Fortunately, you can get both for a pretty great price these days with the right provider. If you’re looking to get started right away, our WordPress hosting plans include everything you need to start a blog and grow, so make sure to check them out! Now that we’ve introduced you to both platforms, let’s start digging deeper into the question of Blogger vs WordPress. Blogger and WordPress are both renown for being user-friendly platforms. However, it’s fair to say Blogger is in a league of its own when it comes to starting up a blog quickly and easily. That’s about as simple as blogging can get, which reflects well on Blogger as a beginner-friendly tool. WordPress also does well in this department. The platform is so popular that some top web hosts will enable you to install it with just a few clicks, so you can get to blogging right away. To be clear, we’re not saying that WordPress is hard to use. In fact, we’d call the platform downright intuitive. However, blogging doesn’t get any easier than it does with Blogger. In other words, round one of Blogger vs WordPress goes to the latter platform. At this point, you know how easy it is to start a blog using either Blogger or WordPress. However, creating a blog is not the same thing as managing one. Ideally, whichever platform you choose will enable you to run maintenance tasks with ease. By this, we mean the necessary steps such as updating your website and working on its Search Engine Optimization (SEO). When it comes to website management, Blogger keeps things simple. You can add new pages with a couple of clicks. However, the platform doesn’t provide you with a lot of maintenance-related features, unless you’re proficient in HTML. Once you get into your site’s settings, things can get a bit overwhelming at first, because WordPress provides you with a lot of options. If there are updates available for the platform or its plugins, you’ll see notifications in your dashboard, which makes it easy to keep your site current. The platform also includes options to manage your users, and even tools to import content from other blogging platforms. In fact, if you ever want to make the jump from Blogger to WordPress, you can do so pretty easily. In this section, as in the last, Blogger scores a point due to its ease of use. However, when it comes to website management, you want to have to as many options as possible, so you can handle your blog the way you want to. 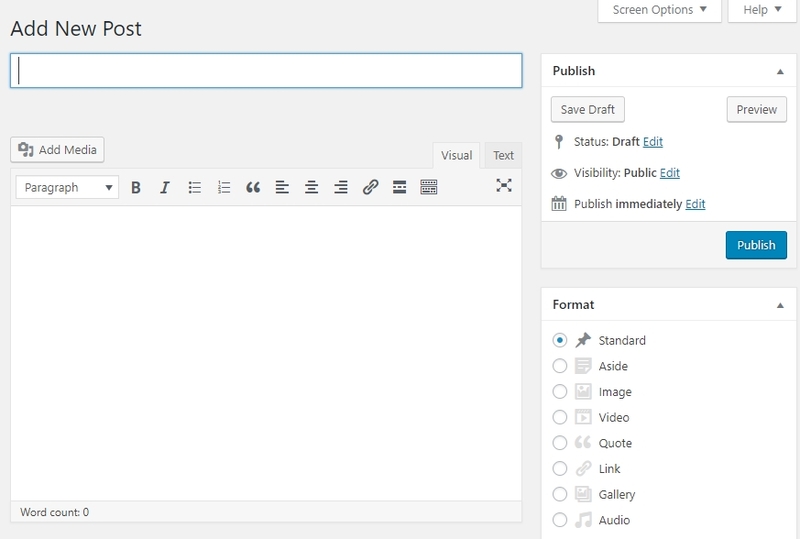 With that in mind, round two of WordPress vs Blogger goes to the former platform. How fast your site’s backend (or dashboard) feels to use. Keep in mind that there are a lot of factors that can affect website performance. For example, if you use massive images, that can be a problem. Likewise, if your web hosting provider isn’t up to par, that will often lead to a blogging experience that’s slower than it should be. When it comes to performance, Blogger has an advantage out of the box. It’s a hosted platform backed by Google, and in our experience loading times are never an issue. Plus, it doesn’t hurt that Blogger websites tend to be rather simple when it comes to design, which also helps with performance. WordPress is not necessarily slower per se. However, since we’re talking about a self-hosted platform, your blog’s performance will depend a great deal on which hosting provider you choose. To get fast loading times, you’ll want to use a provider that has a strong track record when it comes to performance. Even then, you may need to stay on top of your website to make sure loading times don’t creep up as it grows. Overall, while maintaining a speedy website involves more work with WordPress, you also get more flexibility. For example, you can easily integrate a CDN with the platform, or automate image optimization. In other words, you can almost always improve loading times, whereas with Blogger, what you see is what you get. Both contenders come out pretty strong in round three of Blogger vs WordPress, so this one is a tie. Running a website is all fun and games – until you run into a security issue. Hackers will try to gain access to your website, take it down with a Denial of Service (DDoS) attack, or even lock you out completely. To protect yourself from these scenarios, you’ll need to pick a platform with a solid track record when it comes to security. Just as with performance, Blogger benefits from the Google advantage here. That is to say, since your website is hosted by Google, you’re in pretty good hands. The downside to this is you can’t really change your default security settings since you’re using a closed platform. With WordPress, on the other hand, you’re a bit more exposed right off the bat, since the platform is such a huge target for attackers. However, this CMS enables you to protect yourself in a myriad of ways. For example, a reputable web host will provide you with a robust first line of defense, which most attacks shouldn’t be able to get past. The point is that your WordPress website will be as safe as you make it. If you’re not afraid to roll up your sleeves and take a few simple steps, you shouldn’t run into security issues. With that in mind, WordPress comes out on top in the security round of our WordPress vs Blogger comparison. Finally, we’ve arrived at customizability. That’s a term we use to describe how flexible a platform is when it comes to creating the type of website you want, and then tweaking it to suit your precise needs. In almost every case, you want to use a platform that provides you with the highest number of customization options. That way, you’ll be able to create the type of blog you want without any limitations. So far, Blogger has scored well in almost every aspect of our WordPress vs Blogger comparison. However, the platform falls short in this area. That’s not a bad thing, of course. The issue is that a few dozen themes won’t get you very far. You can use some HTML to alter your Blogger templates, as well as change some basics aspects like their colors. However, there just aren’t a lot of options, so plenty of Blogger sites end up looking very similar. Installing these tools is simple, as is switching between them. In practice, that means you can completely overhaul your website’s style rather quickly, should you ever get bored of it. You’ll also never be lacking when it comes to functionality, as plugins enable you to add a huge variety of new features to your site. Therefore, this last round of Blogger vs WordPress goes solidly in WordPress’ favor. At this point, we’ve already given you a full breakdown of what to expect from Blogger. However, there’s a lot of information to digest, so we wanted to sum everything up in a quick recap. It offers one of the simplest blog creation and management experiences. Blogger websites are usually fast and secure, thanks to the Google infrastructure. Ultimately, Blogger can be a useful option if you want to set up a simple blog with few frills. If you just want to focus on writing and not micromanage every aspect of your blog’s style, then, by all means, give Blogger a try. If you find it lacks what you need, you can always migrate your blog to WordPress later on. There’s a reason why such a large percentage of the web uses WordPress. The platform may have started off as blogging software, but it’s grown far beyond that point. It’s easy to set up, and creating pages and posts is simple as well. You get full control over your performance and security settings. It’s one of the most customizable platforms on the planet, and you can use it to build almost any type of site you want. Overall, when it comes to Blogger vs WordPress, the choice is usually simple. WordPress offers a far more flexible experience in nearly every aspect. Even if you only want to create a simple blog, using WordPress can help you add a lot of cool features to it that Blogger won’t provide. Plus, it’s nearly as easy for beginners to pick up. The WordPress vs Blogger debate can get pretty heated. However, self-hosted WordPress gets the edge in pretty much every situation. WordPress gives you far more options when it comes to content management, security, and customizability, so the choice is straightforward for most users. However, that doesn’t mean Blogger is all bad. If you just want to set up a simple blog with no frills, then it can be a handy option to have. What do you think about the Blogger vs WordPress debate? Share your thoughts with us in the comments section below!